I have total garden envy after watching this. This is similar to the garden I would like to plant once we move to a place with more land. I like this video because they share all of their mistakes so we have a chance to avoid repeating them. 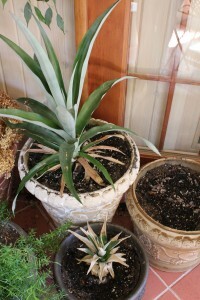 It also demonstrates how knowing how to preserve food efficiently will be important with a larger garden. Our container garden is doing quite well this year! 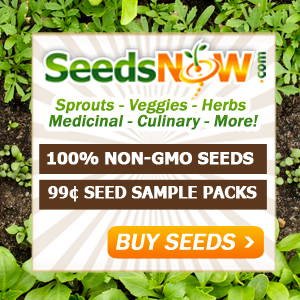 After an early on loss of most of our seedlings (I have not yet mastered the art of transplanting seedlings), I ordered organic vegetable plants online and replanted our garden. I would say things are going quite well with our garden tower and our second batch of plants! I had a few doubts about whether or not the garden tower would work at first, but those have been quickly put to rest. I am definitely going to order a second tower for our deck next year. Even our neighbor who thought I was nuts for this purchase is impressed with how well it is working. 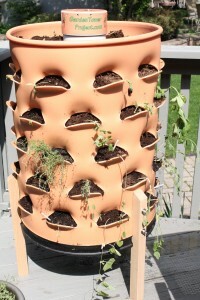 Worms are an invaluable friend in the garden, I just ordered a bunch from a local company here in Chicago to add to our garden tower. These little guys should help us keep the soil in great shape and cut down on pests. 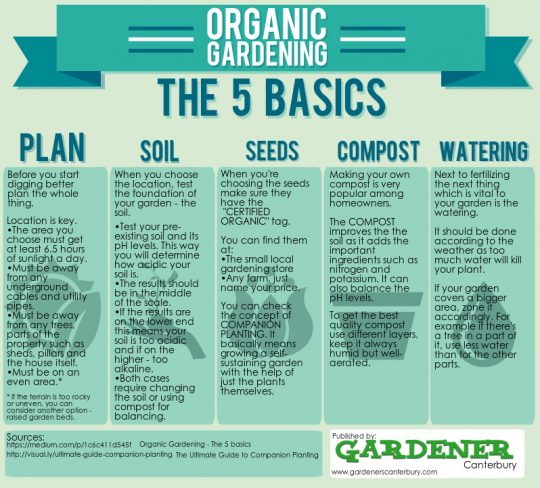 Organic food can be extremely expensive to buy, and it is disheartening to hear about guidelines that allow certain chemicals to be used on organic produce (defeats the purpose, and extremely misleading in my opinion). We are hoping that this summer’s crop will greatly help offset the cost and give us peace of mind that what we are eating is truly, completely organic. We ordered a garden tower from the good folks at gardentowerproject.com a few weeks ago. The weather here in Chicago has finally gotten to the point that it seems safe to move our seedlings outdoors, so today was planting day! Set up was super easy, although you should definitely try to get it in it’s final spot before filling it with soil and water as it can become quite heavy (my mistake – I will have to let it dry out a little once the plants are established so I can move it). I think this will work great though! It fits more plants than we could otherwise grow in a huge garden plot and will use just a fraction of the water. I love the fact that we can use it to compost as well. 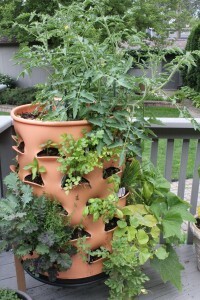 These would be a wonderful way to expand the usability of a greenhouse too. Overall I am extremely happy with this purchase and highly recommend it! I can’t wait to see how things fill out once the plants settle in, some of the poor things are still in shock from being transplanted. Our pepper seedlings seemed to separate quite well, and even if only a portion make it to maturity, we will still have a massive pepper crop this season. We also have several tomato seedlings, cabbage, collards, pumpkins, squash, and a bunch of herbs that over wintered indoors. I think that because we do have the ability to move the tower indoors for the winter I will try starting a new batch of seedlings to grow in the autumn. We are very pleased with this find! 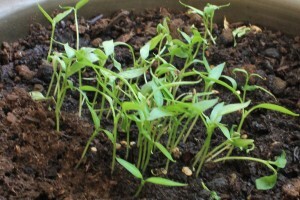 I planted a bunch of bell pepper seedlings we had saved from a few peppers last year. I wasn’t expecting to see quite this level of germination! Next time I do this I will need to spread them out better. 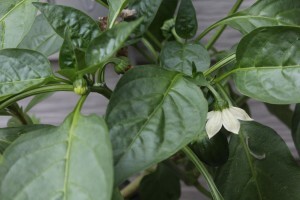 It appears that we will be eating a ton of peppers this summer! I just hope that the garden tower I ordered gets here soon so we can start moving all of our seedlings to a more spacious home. Great to see that these germinate so well though. As a beginner gardener I still have much to learn, but being able to grow your own food is very empowering. Now I just need to figure out how to separate these little guys without harming them. Hmmmm.